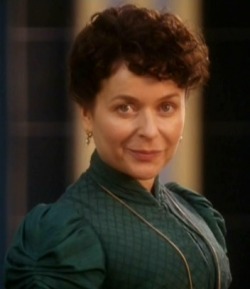 Dorcas Lane is Candleford's Post Mistress. Dorcas loves to indulge in life's little pleasures - dresses, cakes and even the odd bit of mischief. But she also relishes her place at the heart of the community and is ever willing to help out those in need. One such person is Sydney, James Dowland's son, who's now living at the Post Office. Dorcas desires to become a real mother to him and teach this quiet, serious boy how to have fun. Laura Timmins has come a long way from her humble origins in Lark Rise and now feels more at home in Candleford, where she loves her work at the Post Office. A young journalist, Daniel Parish, arrives in town and as she gets to know him Laura thinks she can see through his ambition and ruthlessness to the man he could one day become. Perhaps a man she could fall in love with? Thomas Brown is the pious Postman. Quick to judge others, and keen to correct any sin he sees, Thomas finds it difficult to accept that others don't see the world the same way. Now married to Margaret, Thomas hopes to have a family, but as the months go by Thomas begins to wonder: is God willing? Mark Heap : Mark Heap was born in India to an English father and American mother. 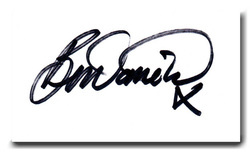 His acting career began with the 'Medieval Players' touring company, and he also was in a comedy double act called 'The Two Marks'. He has appeared in Love Soup and Green Wing, as well as films such as Stardust. Margaret Brown, the timid Rector's daughter is now married to Thomas Brown. Her sheltered upbringing has not prepared her for the ups and downs of married life but in truth Thomas and Margaret couldn't be better matched. With her new husband, Thomas, and her new job as a governess to Sydney, the only thing missing is a child of her own. Zillah has known Dorcas since she was a child, and worked for her father, and her grandfather before her. Nobody could love Dorcas more than Zillah, and she also considers Matthew and Thomas as part of the family, not that this stops her grumbling about all three of them and the work they create for her. Zillah is naturally suspicious, she doesn't warm to strangers, and anyone new has a tough time earning her trust. Series One - Episode Two : Postwoman Mrs Macey receives news that her husband Dan has escaped from prison. Before long the whole town is alight with gossip, and Mrs Macey fears that the damage to her reputation will force her to leave Candleford. Meanwhile, her son Freddy has been secretly meeting a mysterious stranger in the woods. Minnie Mude is Dorcas' hopeless housemaid. Lazy, dreamy and utterly unreliable, Minnie seems to cause havoc wherever she goes. But she is also loveable and has a desperate need to belong. Now she has a home and a surrogate family at the Post Office, Minnie dreams that love might not be far away. 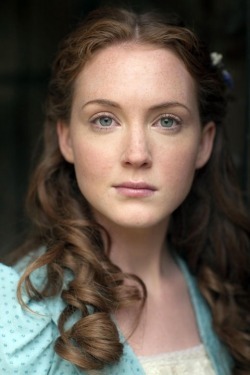 Ruby was recently seen in Lost in Austen, New Tricks and Oliver Twist. Ruby's parents are both actors. Her father, Paul Bentall, has been in Silent Witness and Trial And Retribution, and her mother, Janine Duvitski, played Mrs Meagles in Little Dorrit.